Boneless, skinless chicken breast is about as boring as you can get. I need to get out of this rut of bland meals! Do you recognize that root vegetable mash? It started out as mashed potatoes last week, then morphed into confetti mashed root vegetables, and tonight it makes its final appearance (I hope) with an additional potato. And look, there is my old friend, broccoli. John has no problem eating the same things over and over again but I am tired of it. I need to try harder. 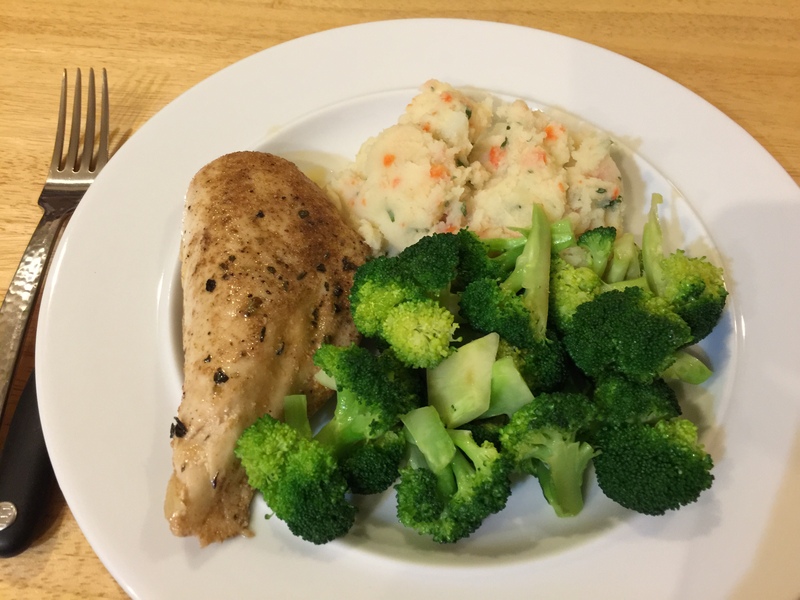 This entry was posted in leftovers, Poultry, Vegetables and tagged broccoli, chicken breast, mashed root vegetables. Bookmark the permalink.